That I don't know but what I know is that, almost everyone will face rejection at one time or the other in their lives. I faced mine a long time and I still face it on a daily basis. 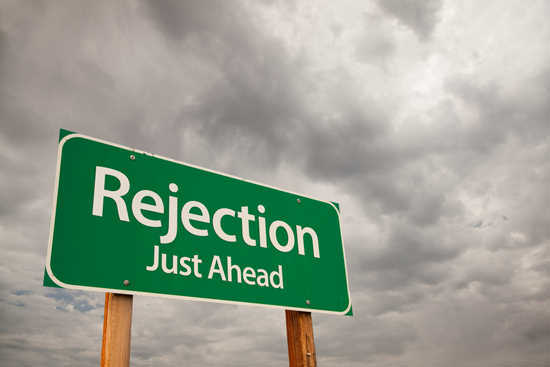 But there are ways of coping with rejection that can speed you through some of the bumpier parts. "The suffering that happens when rejection occurs comes from over-thinking the "loss" that you feel you're suffering, be it loss of an opportunity, loss of a special relationship or loss of some other kind"
Let's settle this that not everyone will like you, not all will buy into your idea, no matter how brilliant it is. So kindly save yourself the headache of trying to be accepted by everyone. that feel hurtful because our soul is yearning to learn how to be compassionate toward ourselves and break patterns of feeling punished or victimized. Don't be too hard on yourself, don't punish yourself because of rejection. If you start punishing yourself, you are invariably rejecting yourself. Learn to be kind to yourself. Tell yourself that, this is just a fleeting moment, that you can be better. After rejection, you might feel like you can't be happy without the person that rejected you. No, you can be happy if you give yourself to opportunity to be happy. Your continuing sorrow is a reflection of believing that you need that person in your life to feel happy. You are the one who will decide whether you want to be happy or not. No one can define your own choices to be happy within. The ball is in your court. Once you are back on your feet, take a closer look at why you were rejected in the first place. Not all rejection is as a result of hate. Be honest with yourself. Honestly, most of the times that we were rejected are mistakes from our own part. Was the proposal you sent well researched? Are you qualified for the post you applied for? Do I meet up to her standard? (Forget about love). Have I worked to deserve the promotion? If we can honestly ask the why of the rejection, we might learn from our mistakes. As soon as you find the flaw, fix it. Work to be better. "I am a believer in earning your next position. If you fail at the last one, a promotion would be an anomaly"
Try to be better. Work well at re-inventing yourself. running the risk of rejection, you will never meet your goals. Everything happens for a reason. I am a reader not a Writer.. Wow! !, I should have use this as my conclusion. Beautifully summarized. Thanks. Simplified! I was working on writing something on Rejection, but this ,QED! Please do, I want to learn from you. I have faced rejection so many times that I can't help but ask God if that's what I really deserve. I can't help but ask what the purpose of it all could be. But I take solace in the fact that as long as I have life, there is hope. I also allow myself to feel the pains and I cry them out. Each time I do that I feel better somewhat. For all those in the same boat, I just want to say, YOU ARE NOT ALONE. Wow, thanks for sharing this will us. And yes there is Hope. Bless you. 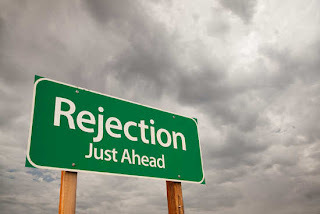 We all face rejection at some stage in our lives, it may be from anyone but I have learnt to RISE ABOVE it. It may take time and lots of self motivation bt it must be done. Know this "not everyone will accept you" its always been that way and nothing can change it! Welldone sir. everyone will accept you" deep!! Thanks. Great lesson you just mentioned. Thanks for adding your thought sir. Can the cycle be broken? Do we need to break the cycle? Something to think about....you've raised another point sir. Thanks for sharing your thought. It's okay to be rejected, it's okay to be turned down. Life would be boring if every door we knock is opened. Everytime you get a NO, refocus, restrategize, dont staying mourning a request not granted and miss out on other opportunities. All I have to do when I am rejected is to REFOCUS! To change my view, plan my next move as if am playing the game of chess. Thanks for your addition sir.